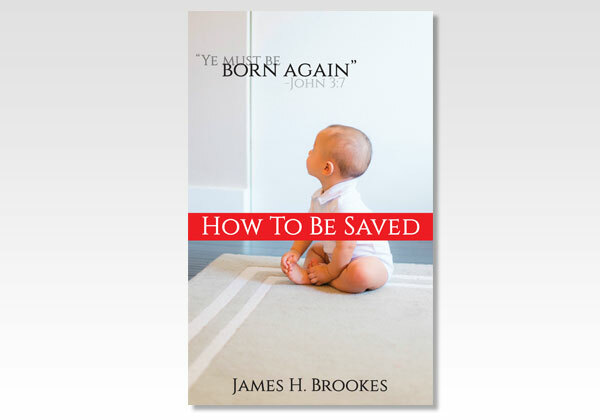 Once born, the greatest event of our lives is being saved—saved from our sins, saved from hell, accepted in Christ, saved for heaven, saved for eternity in the Father’s house! What blessings God offers freely to us and what a terrible thing it will be to spend eternity in the Lake of Fire, under God’s wrath. We need to be saved! We need a Savior! The author pleads with the reader that, if he has any concern at all about his salvation, that he turn by faith in the Lord Jesus Christ at the time of reading, and not put it off. “Today is the day of salvation”! It would be terrible to realize that it was too late—that that “day” had passed, was gone forever! James Brooks (1830–1897) was a Presbyterian minister and strong dispensationalist, and the Brooks Bible Institute of Saint Louis was named for him. Possibly he may not have been clear that the Law was never given to Gentiles and thus was never a way of life for them, so some clarifying comments have been made. He correctly points out that we must be saved by faith in Christ; we or no one else (except our Lord) ever kept the Law, so we cannot be saved by our good works.